Frozen Ground Was This Poor Dog’s Home For Many Years. What Happens Next Changes Everything! The Rescue of Diesel – A chained and a freezing dog. Although it should never happen to “man’s closest companion,” yet it still does. In numerous cities, there are dogs left to spend their whole lives in “isolation,” chained. Kept out of the sight and out of the mind in the back yard, the chained dogs are regularly denied of proper conditions such as water, and veterinary consideration, and having their enthusiasm and social needs totally overlooked. 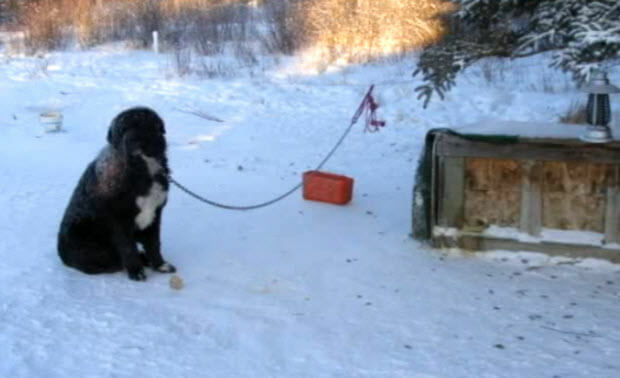 Such was the case with Diesel, who was chained alone in -40-degree weather in Yukon. According to the video, he was the first passenger on the freezing dog’s freedom train. 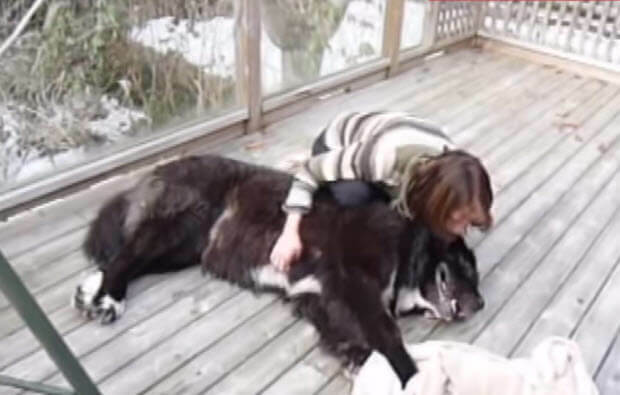 Diesel was chained in the summer and winter for four years and as shown in the video, Diesel used to hold one paw off the ground alternating his paws, because he was so cold. He had been kicked by a horse and broke most of his teeth, and got his shoulder covered in blood during a fight with a dog. Diesel was gradually withering away. A big beautiful dog, Diesel, was “frosty” each moment of his life. And as a common form of dog control in North, his owner also threatened to shoot Diesel. He would preferably have him dead than to give him an ounce of consideration.